Is casein part of your nutrition plan? If you're interested in outstanding fat loss and strength gain, it should be. This traditional bodybuilding nightcap outperforms better-known proteins on some key body-function measurements. Fast cars. Fast Internet access. Fast food. People are even looking for fast-digesting protein powders to feed their fast-twitch muscles. Is there no place for something slow? Nighttime, when you hopefully have at least eight hours of rest and rejuvenation, is the perfect time for casein. This often-overlooked, slow-digesting powder made from skim milk keeps delivering protein to your system all night long. A high-protein diet can be a bodybuilder's best friend, helping you build muscle, lose weight, improve muscle repair, reduce hunger, and increase energy expenditure—all of which can improve body composition. If you want to pack on muscle, you might automatically think about pounding down a chicken breast and a whey protein shake. But now you have a secret weapon. A study published in Annals of Nutrition and Metabolism investigated the relative impact of whey protein on fat loss and strength versus casein over a 12-week study. Untrained subjects were split into three groups: diet-only, high-protein diet with resistance training program and whey protein, and high-protein diet with resistance training and casein. The results were startling. The casein group lost more body fat than the other two groups. What's more, they gained twice as much lean muscle mass as the whey group. Both protein groups increased total chest, shoulder, and leg strength. But the casein group increased overall strength by 59 percent, compared to just 29 percent for the whey group! 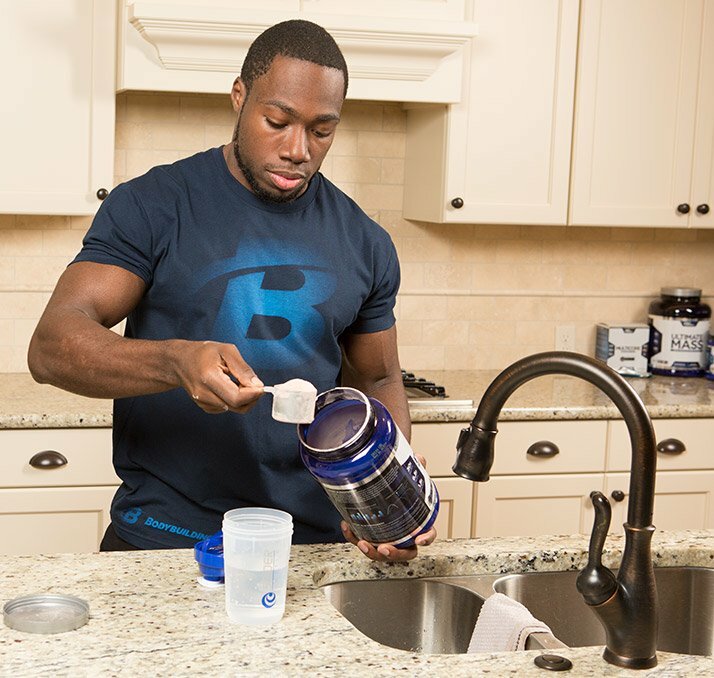 The researchers attribute casein's superior results to the protein's ability to enhance muscle protein synthesis. Keep in mind that these subjects were untrained and were following a closely monitored program. Results using a similar training program and casein product may vary. Casein is a milk-derived protein. In fact, it makes up roughly 80 percent of the protein found in all dairy products. The other 20 percent is whey protein. Casein is considered slow-digesting, because it forms "clumps" in the stomach that take 5-7 hours to digest. The great thing about casein is that it's anticatabolic, meaning it helps prevent muscle breakdown. And because it takes so long to digest, its steady stream of amino acids combat muscle breakdown for hours, making it the perfect post-workout nightcap! All forms of casein protein start as skim milk. The milk is processed in different ways to separate the casein "curd," which is then repeatedly washed with water to "purify" it to create the 96-percent protein end product. The curd is then dehydrated and transformed into powdered form. Micellar casein: This is the slowest-digesting form of casein, produced when casein protein is separated from the whey, fat, and lactose in milk through a microfiltration process. "Micellar" refers to the large, globular structure of casein proteins. Each micelle contains five milk proteins (alpha, beta, gamma, delta, and kappa casein), calcium, phosphorus, and several bioactive compounds. The micelles themselves are delicate. That's why, unlike other forms of casein, micellar casein is not produced using acid or heat. Dollar for dollar, micellar casein is the most nutritional form of casein available. Caseinates: Caseinates are the second-slowest-digesting form of casein. They are produced by treating the casein curd with either a sodium or calcium alkaline agent to neutralize the protein. The resulting substance contains small amounts of fat, carbohydrates, and lactose. Calcium caseinate is the least-water-soluble of the caseinates, characterized as having a slightly grainy mouthfeel. Sodium caseinate is more soluble, with a smoother mouthfeel. 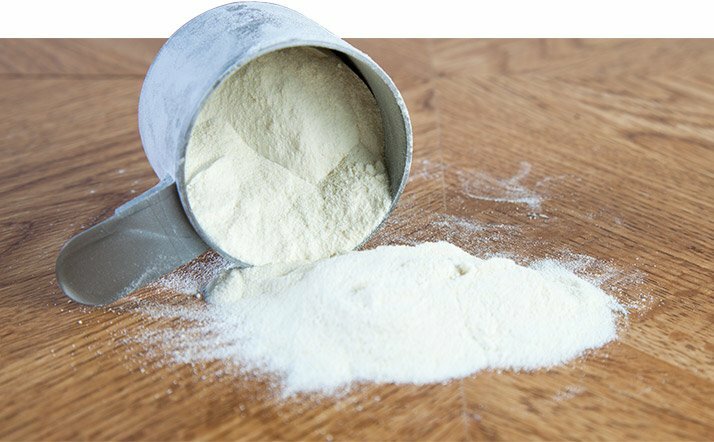 Casein Hydrolysate: Casein hydrolysate is essentially a "pre-digested" form of casein, enabling the amino acids it contains to enter the blood much more readily than micellar casein or caseinates. Even so, it still takes hours for the hydrolysate form to release its nutrients into the bloodstream. If you're lactose-intolerant, choose micellar. It's microfiltered to separate the casein from the lactose. It's not unusual to be allergic to casein proteins, especially alpha-1 beta protein. Most casein products are made with milk containing both alpha-1 and alpha-2 beta-casein proteins, so if you have a problem with these proteins, avoid casein protein altogether. The slow-digesting nature of casein provides a steady supply of amino acids to your muscles, making it a perfect supplement for sleep. The amino acids help preserve and build muscle mass throughout the night, and may even give you more energy when you wake up. 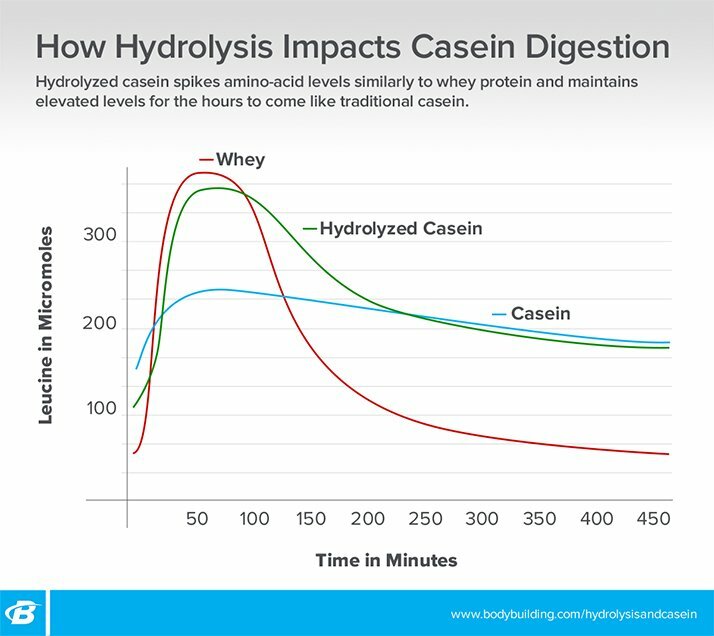 Casein hydrolysate, the fastest-digesting of the casein proteins, helps during training, too. A study published in the Journal of the International Society of Sports Nutrition looked at the impact of adding casein hydrolysate to an intraworkout carbohydrate beverage in cyclists. Researchers found that cyclists who drank a carbohydrate-casein beverage outperformed the carbohydrate-only group in terms of improved time-trial performance and reduced levels of post-exercise muscle damage and muscle soreness. If you decide to start taking casein as part of your bedtime meal, don't expect to wake up with a six-pack or Hulk-like muscles. Although casein provides some astounding benefits, it won't by itself transform your physique and performance; you still need to work out. But when you use it appropriately, casein can provide you with just that extra edge you need to reach your goals. Demling, R. H., & DeSanti, L. (2000). Effect of a hypocaloric diet, increased protein intake and resistance training on lean mass gains and fat mass loss in overweight police officers. Annals of Nutrition and Metabolism, 44(1), 21-29. Hochstenbach-Waelen, A., Veldhorst, M. A., Nieuwenhuizen, A. G., Westerterp-Plantenga, M. S., & Westerterp, K. R. (2009). Comparison of 2 diets with either 25% or 10% of energy as casein on energy expenditure, substrate balance, and appetite profile. The American journal of Clinical Nutrition, 89(3), 831-838.